Few remedies function as restoratives rather than stimulants. Neu-Regen is a rare impeccable example of this class of herbal/homeopathic tonics at its best. Neu-Regen is a restorative tonic, not a stimulant. The herbal ingredients in Neu-Regen nourish the nervous system and assist the body's regenerative powers. For support of mental, emotional and physical exhaustion, including psychological conditions such as fear of failure, depression, irritability, memory loss and sleeplessness. This restorative tonic also promotes proper organ function and helps energetically balance the body through gentle regulation. Good for children as well as adults! The fast pace of modern life places large demands on mental and physical performance. As a result, it is necessary to help the nervous system to become more nourished and therby become more resilient to stress. NEU-REGEN syrup helps nourish organ function and energetically balance the performance of the body through gentle regulation. Dalektro N and Psy-Stabil which is available as the “Stress-Buster” Kit (Neu-Regen, Psy-Stabil, & Dalektro N homepathic minerals). Supren. 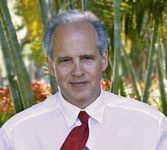 Supren regulates the adrenals when the patient experiences both highs and lows of cortisol production, which is the resistance phase of Selye’s general adaptive syndrome. 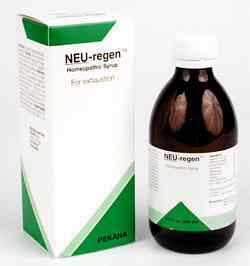 Neu-Regen is by contrast for adrenal exhaustion. Can be used long-term while rebuilding vitality!! helps restore proper organ function and energeti­cally balance the performance of the body through gentle regulation. In contrast, drugs such as stimulants and sedatives place even greater demands upon an exhausted body. Argentum nitricum 6X provides adjunct support for psychological conditions including fear of failure, forgetful­ness, mental exhaustion and headaches due to mental strain. It also provides adjunct support for upper stomach symptoms brought on by nervous stimuli that can produce appetite anomalies, such as a craving for sweets. In addition to calming the nerves, it possesses antitoxic and anti-catarrh properties. Cinchona pubescens 4X addresses nervous conditions and general weakness following infectious illnesses. It is a reliable remedy for supporting the gall, liver, stomach and pancreas. By improving the function of these organs, Cinchona succirubra helps regulate the appetite and prevents flatulence. It also prevents tachycardia that may arise from organ dys­function, eliminates venous blockages and restores proper warmth regulation. Conium maculatum 4X stimulates regulation, which enables the body to address fear, depression, hypochondria, memory loss, fear of being alone, aversion to work, disinterest in performance and certain forms of sleeplessness. Delphinium staphysagria 6X helps provides adjunct support for nervous hyperstimulation with irritability, fits of anger, sexual dysfunction and the inability to concentrate. It also addresses disruptions of the vegetative nervous system (vegetative dystonia). Piper methysticum 8X helps relax and brighten the patient’s mood. Nux vomica 4X addresses psychological conditions closely related to abdominal problems, insufficient physical activity, smoking and extensive use of alcohol or strong stimulants. It also helps relieve irritability and mental or physical burdens resulting from excessive work, worry or studying. Avena sativa 1X is a primary nerve tonic. It is a proven remedy for business people whose appetite and sleep is disrupted because of worry, stress, restlessness and exhaustion. Panax ginseng (Ginseng) 1X addresses symptoms of general nervous exhaustion combined with physical weakness. It produces a pleasant, gentle balancing effect, and is not a severe stimulant.